NTT Inc. - Electrical Control Circuits Explained: What do Employees Need to Know? Electrical circuits make our modern lifestyle possible. These conduits allow the flow of current to be channeled in a useful way. Electrical control circuits are an essential part of a functioning electrical system. What are electrical control circuits and what roles do they play in industrial work? How can safety training help employees work with control circuits? What is an Electrical Control Circuit? Electrical control circuits are used as relay points between a power source and several different electrical devices. Sensors attached to the devices send input to the control center. Based on the data received, the control center will then send instructions to surrounding devices. These systems are commonly used for things like lawn sprinklers, automated indoor climate controls, and even amusement park rides. These circuits control the actions of connected devices by sending surges of power to the system component. In a fire protection system, the sensor will signal the control circuit when it detects smoke or excessive heat. The control circuit will then send power to the overhead sprinklers to put out the fire. Control circuits can be arranged to support intricate multi-device automated systems. Programmable logic controllers (PLCs) are a popular type of control circuit. These smart controllers are manufactured specifically for industrial use. More rugged than other types of controllers, PLCs make it possible to keep multiple pieces of robotic and automated equipment with a network of timers, sensors, and sequencers. This gives users a high degree of reliability and control over a variety of industrial processes. Automated manufacturing assembly lines for vehicles and other consumer goods. Failsafe systems in areas with hazardous materials or conditions. Water tank quenching systems for highly reactive materials. Filling and feeding machines on farms and in some restaurants. Greenhouses, ventilation, and watering systems on commercial farms. PLCs are an important part of almost every kind of industry. From textiles and plastics to hospitals and aerospace, electrical control conduits like PLCs make modern businesses work better. Safety training is an essential part of working with PLCs and other types of electrical control circuits. According to the United States Department of Labor Occupational Safety and Health Administration (OSHA), electrocutions accounted for 8.3% of fatal workplace accidents in 2016. Like any other electrical system, careless or unaware workers can easily get hurt when repairing or reprogramming these devices. Proper training cuts down on catastrophic accidents. Besides harm reduction, there are other benefits to safety training for those who work with PLCs. Employers who invest in safety training spend less on repairs. The training prepares workers to assess different problems and decide the best way to approach repairs. Instead of wasting money on contractors to examine your equipment, your employees can diagnose and possibly fix the problem with no extra overhead. You won’t have to endure endless downtown when your staff is trained in basic PLC safety and maintenance. Simple problems can be fixed without waiting for outside help to find the time to visit your property. Companies that work with highly sensitive or proprietary technology may not want to risk hiring an outside consultant to service their PLCs. With trained staff on your payroll, you won’t have to worry about compromising your secure data. PLCs and electrical control circuits make modern industries more profitable, reliable, and consistent. Does your staff need training? 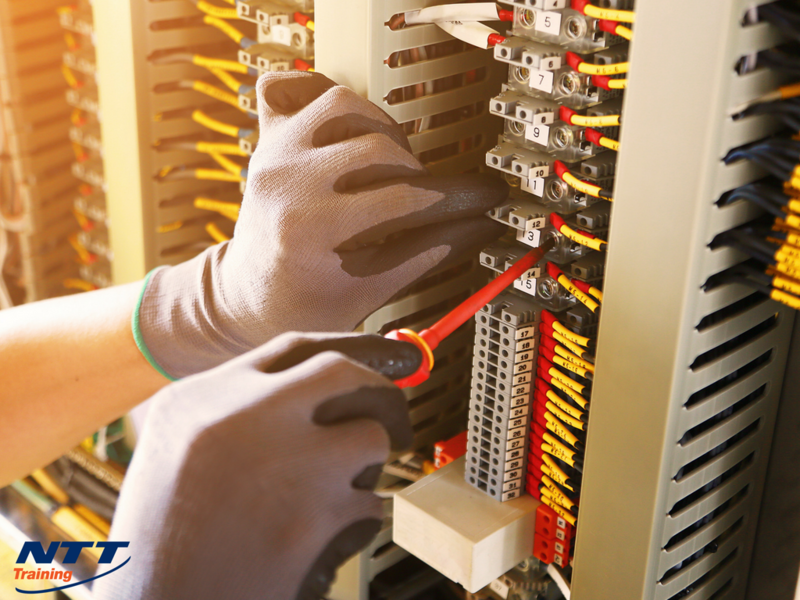 The Industrial Electricity and Troubleshooting Electrical Control Circuits seminar at NTT gives your employees all the knowledge they need to work safely with these essential devices. Attendees also learn how to use diagnostic tools like multimeters, which protective devices to use, and how to troubleshoot electrical circuits. Contact our representatives to schedule your on-site training session today.